So how do you prospect for more business with your feed ads? 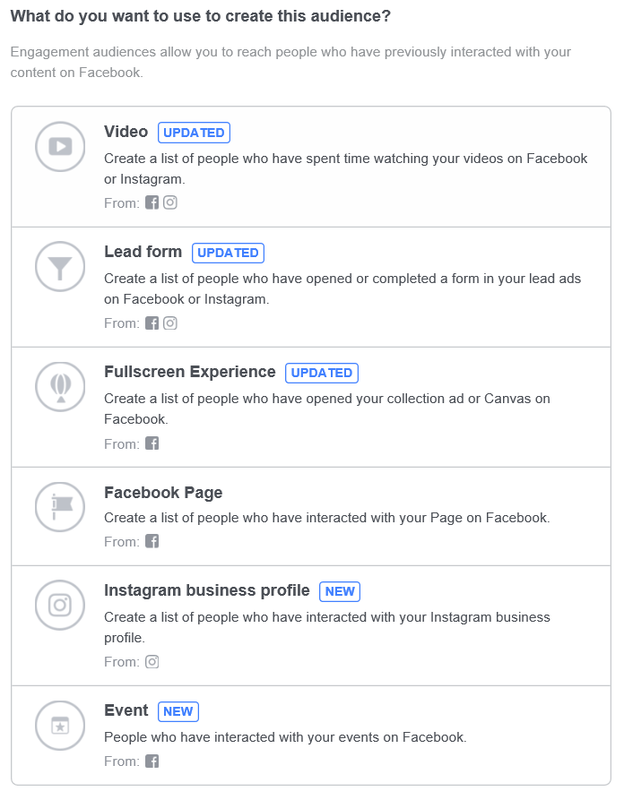 Create your Facebook feed campaign, scroll down to the audience selection and select “Define a broad audience and let Facebook optimize who sees your products”. Make sure to clearly name your campaign and always ensure you have a working Facebook pixel on all pages of your website. Don’t be fooled by the broad term used with this targeting method. From an Ad-set level you will be able to narrow your targeting. I suggest before you go any further you go look at the custom audiences Facebook offers. You can define a target list based on this audience (only if you have data accumulated from your Facebook pixel). As you can see you have many options when it comes to targeting. You should create separate targeting ad sets and measure each one’s performance. Now that you have opened the targeting floodgates, offer your best-selling items themed according to the targeting you have chosen. A well planned will often be the difference between success and failure. If you have limited budget do not activate all your targets. Stick to the ones you feel would have the best initial success. Likewise, with your product sets, carefully group your products by clicking the + button under promoted products. Show direction, use a “add to cart” button. Be descriptive with your ads and split test if a short title works better than a long title. Always conduct A/B tests. Your ad options are fairly limited so try use hooks to entice people to visit. A unique selling proposition such as “Limited time offer”, “Hot sale” can boost clicks. Remarketing is always a good idea, while a user is close to the buying stage having an easy return to the shopping basket is a proven way to get more sales. However, there are other ways to prospect for new business without a completely new campaign setup. Facebook offers advertisers a quick option to duplicate campaigns. This is a helpful function that allows you to separate your targeting with a minimal amount of setup work. Need Help with Facebook product feeds?